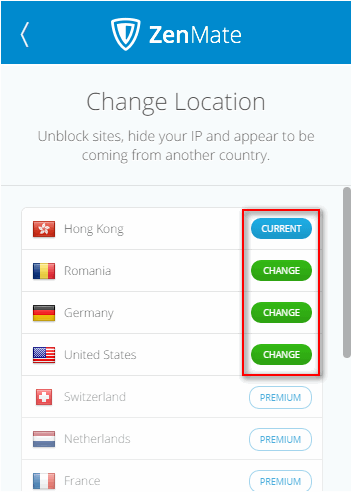 ZenMate is a service that allows you change IP address to another country in two clicks. 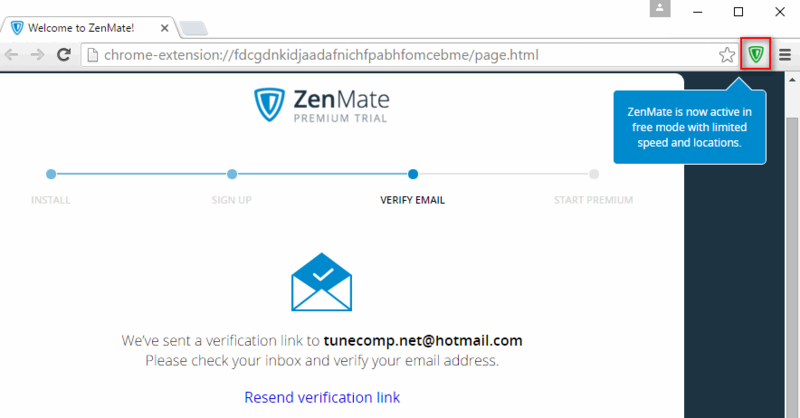 ZenMate exists in a form of browser extensions: for Chrome, Firefox and Opera. It has a paid and a free version. 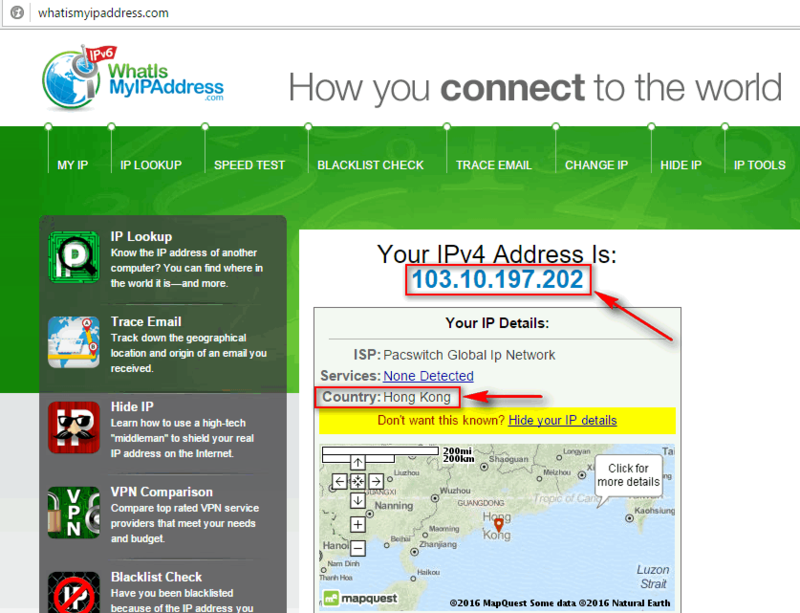 In a free version you can select one of the four countries to use their IP addresses: USA, Germany, Romania, Hong Kong. 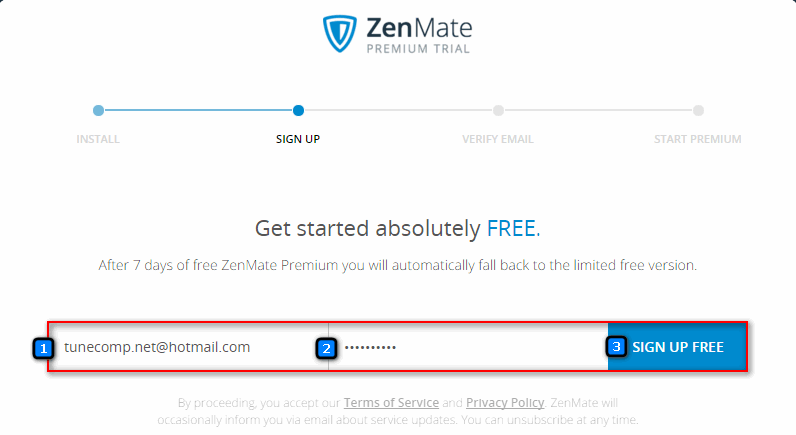 Here is how to install ZenMate into your browser and change IP address to another country.